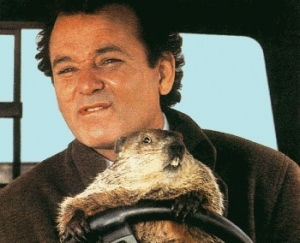 I watched Groundhog Day (Bill Murray and Andie MacDowell) with the kids to start 2013. I remember watching the movie when it was in the theaters. My birthday is February 2, so naturally the movie was a must see. I hated it when I first saw it. The movie script finally annoyed me about ½ of the way through. I think I was annoyed by the time loop as much as the main character Phil Connors. Are driving your life in the right direction? But watching the movie again tonight, almost 20 years later, I had a different perspective. I told the kids that Phil was reliving the day until he got it right. Phil ends his time loop when he realizes he needs to improve himself by helping others through service and by continually learning more. That sounds like a good recipe for a new beginning and a new year. Better than resolutions, which we may forget by the end of January, is a more fundamental goal to continue learning and to serve others. If you’re like me, your best memories and your most important interpersonal growth come from learning and service events. Don’t sit still. It’s 6am, and a new year. Go make yourself better.